Explore the heart of the Red Centre from Alice Springs to Kings Canyon. Board the Ghan bound for Darwin to uncover the secrets of the Top End. See the awe-inspiring unique icon that is Uluru. Soak up the surreal ambience of the Field of Light. 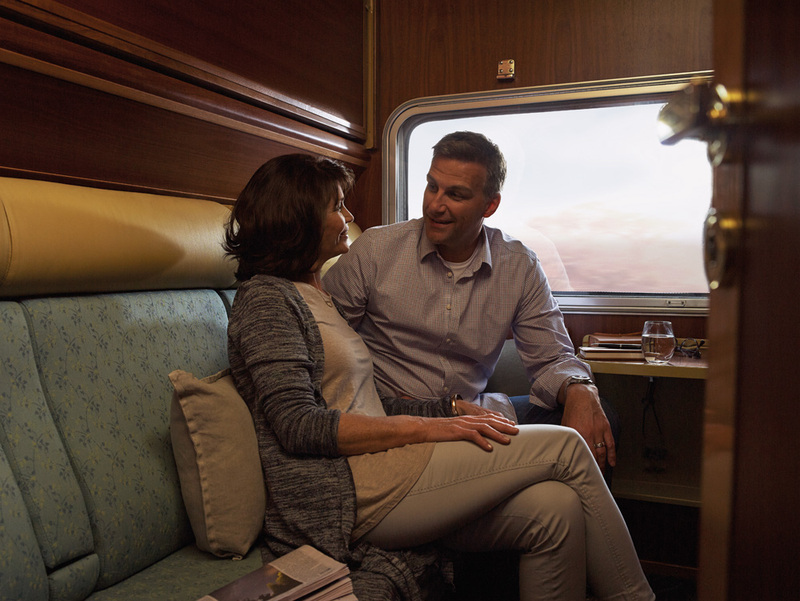 Relax in the comforts of rail travel aboard The Ghan to Darwin. Swim under waterfalls of the many waterholes of Litchfield National Park. Transfer from the Alice Springs airport your hotel. 1 night stay in Alice Springs at the DoubleTree by Hilton Alice Springs including breakfast. 3 night Kata Tjuta, Uluru & Kings Canyon tour including accommodation, touring & transfers. 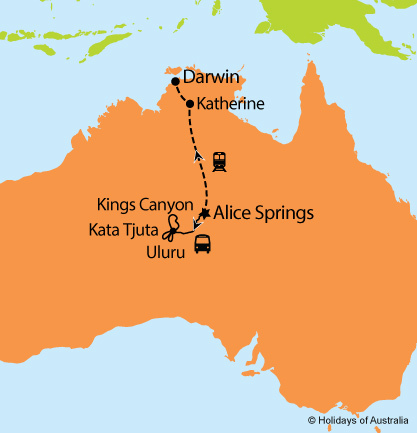 1 night aboard The Ghan travelling from Alice Springs to Darwin in Gold or Platinum Service. Your journey includes all meals, drinks & an off train experience in Katherine. Darwin City Explorer 24hour Hop-on Hop-off bus pass. Full day Litchfield Noational Park & Waterfalls tour.